Introducing The 'USCSS Prometheus' The Epic Spaceship From Ridley Scott’s Alienesque© Prequel! An absolutely stunning & detailed image has debuted of the USCSS Prometheus, the ship from Ridley Scott's Alien prequel. 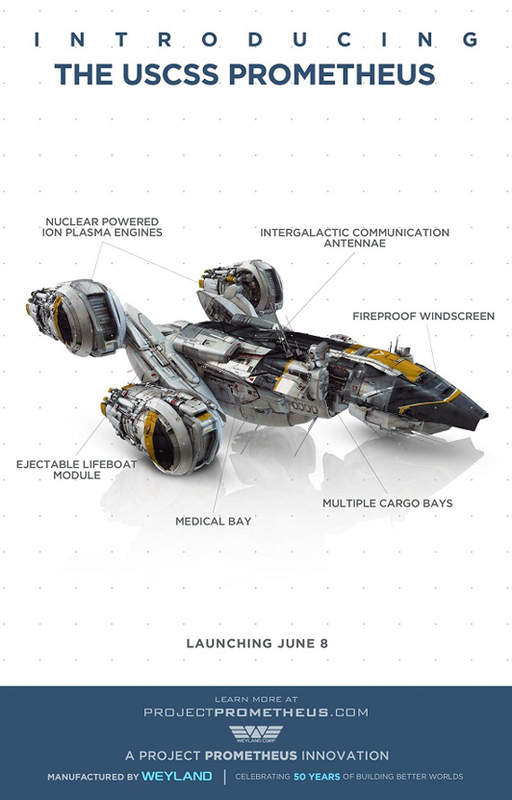 According to the 'diagram', the ship is powered by nuclear powered ion plasma engines.. braingasm! Prometheus stars Noomi Rapace, Michael Fassbender, Charlize Theron, Idris Elba, Sean Harris, Kate Dickie, Rafe Spall, Logan Marshall-Green & Guy Pearce. Arriving in 2D, 3D & 3D IMAX theaters this June 8th in the US & June 1st in the UK. Source: IGN. I'm reading: Introducing The 'USCSS Prometheus' The Epic Spaceship From Ridley Scott’s Alienesque© Prequel!Tweet this!